There are some amazing similarities between the Hindus and Mesopotamians ( covering Sumer, Babylonia) in the number of Gods and sculptures. In my previous articles on Sumer, I have given a long list of similarities. Now I have found out something new! Hindus are the people who have the highest number of Gods in the world! But the oldest religious book The Rig Veda made it very clear that One God is worshipped in these different forms: Ekam Sath Vipra: Bahuda Vadhanthi (Truth is one, sages call them by different names (RV 1-164-46). 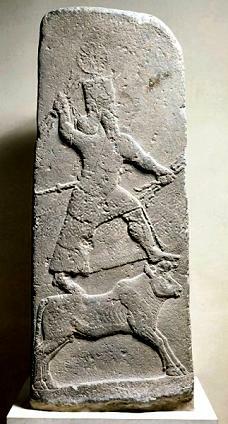 Sumerians and Babylonians also called their God with 3000 names! “ The gods of the Ancient Near Eastern peoples, in historical times, were almost without exception anthropomorphic, male or female. They were imagined as of gigantic size and exuded a terrifying splendour, with super human powers, although the power of all the gods was by no means equal; some were relatively minor or of restricted influence. They shared the emotions and foibles of human kind. Generally speaking they were immortal, although there were certain gods about whom myths were recounted which involve their deaths or visits to the underworld. Although they lived in heaven or the underworld, an extension of their personality also inhabited the various cult statues erected to them by humankind”. Every word of the above paragraph is true with the Hindu Gods. If we simply replace the words “Near eastern peoples” with the “Hindus”, it will still be correct. In every culture Gods are slowly “created to satisfy a number of people”. The number slowly increases, but those who created know that they are one and the same. At the highest level there is only one God. For the layman’s satisfaction new gods or new names with particular attributes are created. The second reason for the increase in the number of Gods is different cultures have similar stories about their Gods. Then they slowly merge but retain their names. We have already seen in one of the posts how Indra is worshipped with different names in different cultures. Sumers and others in the Near East had names of 3000 deities! One more amazing similarity about sanctifying the sculpted statue is “Opening the eye” ceremony in Hinduism. The sculptor who makes a statue of a god or goddess will chose an auspicious day and auspicious time to open the eyes of the statue. Once it is done it is not stone anymore. It is God incarnate. So much importance and so much sanctity are attached to the ceremony. It is called Nayanonmilanam in Sanskrit (Opening the Eyes of New Idols). Babylonians also had a similar ceremony! It is called “Washing the Mouth of New Idols” and “Opening the Mouth of the New Idols”. It is one and the same! In certain languages the idioms change and in certain other languages the words for certain body parts do not exist. Sanskrit is a ‘Mouthless’ language and Tamil is a ‘Faceless’ language. That is in Tamil there is no word for ‘face’ and so they use Sanskrit word Mukam for face. Sanskrit has no word for mouth and so they use Mukam for mouth. Tamil is a ‘heartless’ language!! That is to say that there is no word for heart in Tamil and so Tamils use the Sanskrit word Hrudaya. English word Heart is also derived from Hrt of Sanskrit. So “opening the mouth washing the mouth” of Babylonian Gods are the same as Opening the Eye of Hindu Gods. After opening the eye of the statue, Hindu sculptors lower the idols into water for some time and then in the heap of grains for some time and then they ask all the general public to anoint the idol with special oil. According to British Museum dictionary “Babylonians did this ritual in order to enable it to become imbued with the divine presence”. This is exactly Hindu Sthapathis (Temple sculptors ) say about the Hindu rituals!! British museum dictionary adds “ The largest group of gods are the deities of the various city pantheons. Local deities were particularly important in the heterogeneous Hittite religion. There were also gods and goddesses representing natural forces, birth goddesses, groups of anonymous gods and minister deities who attend more important gods and goddesses. Some human rulers were also deified. More than 3000 names of deities have been recovered from Mesopotamia alone”. We also had various pantheons: Kula devatas, Ishta Devatas, Dushta Devatas, Parivara Devatas, Nagara Devatas and Guradian Deities. Major Gods like Brahma, Vishnu, Shiva and lots of minor gods are worshipped by the Hindus from time immemorial. We also deified human rulers Rama and Krishna as Avatars (incarnation). We also had Sahasranamam (1000 names) for each major god and goddesses. Hindus also worshipped gods in the form of natural forces. British Museum Dictionary adds “ In art, Mesopotamian gods are generally sworn wearing the horned cap with up to seven super imposed sets of bull’s horns, described as a mark of divinity”. Throughout the Rig Veda Indra is called a bull and the Bull seals are more in number in the Indus Valley than other seals. God is called a “Horned person” in Hindu Vedas. Vishnu Sahasranamam alone had three words for God as Horned one (Maha Srngan, Chatvari Srngan, Na Eka Srngan etc). 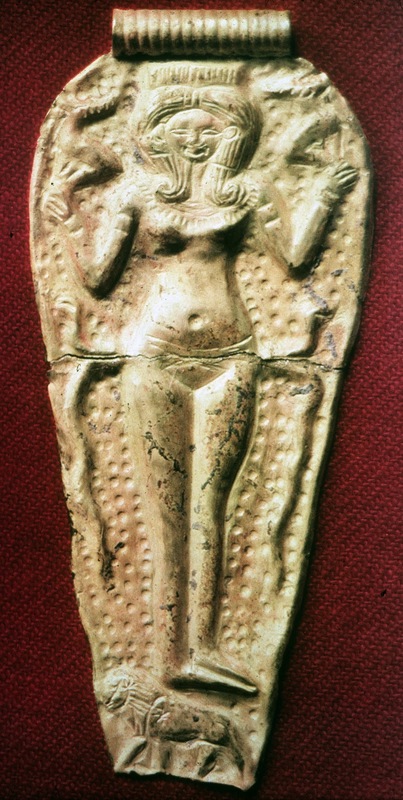 I have explained them in my post “Vishnu seal in Indus Valley”. 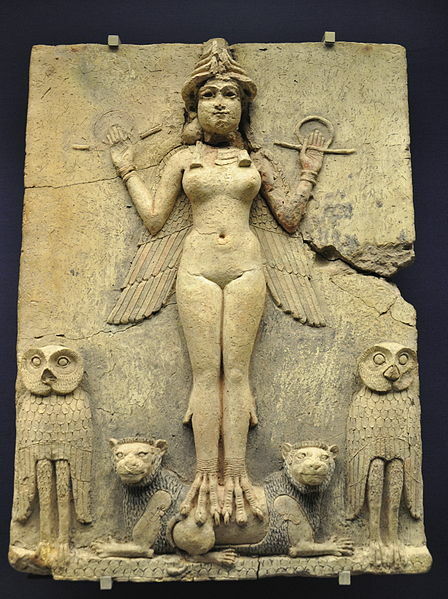 If we approach the Ancient Near East Gods in a chronological order we can see the development of number of Gods. Since Encyclopaedias give all the names together we get confused. In Hinduism, we see new gods get sudden prominence because one Swamiji said something about that particular God or an actor praised that God! Tamil actor M G R made Goddess Mookambika worship popular. Another actor Rajinikant made Saint Ragavendra popular. In Bombay Siddhi Vinayak temple became more popular because of Bollywood actors and actresses. Sabarimala was visited by famous actors and singers and it attracts millions of people now. One hundred years ago not many people visited the temple. Hinduism is a growing religion, but the basic truths have not changed for at least 5000 years!! In short, Hindu concept of God was propagated to the Near East by the Hittites, Kassites and Miamians. All these groups were practisers of Vedic Hinduism. Hittites are Khattis or Kshatrias, say Mr Kalyanaraman in his book Arya Tarangini. He has identified all these groups with the Vedic Hindus. Foreign scholars also admit all these groups spoke a language belonging to Indo-European group, in other words a language related to Vedic Sanskrit. I have already supplied the archaeological evidence from Turkey, Syria and Egypt. Apart from Matsya Avatar of Lord Vishnu, we hear about other Fish Gods such as Oannes, Dagon and Sindhi saint. Berossus (Vararuchi ?) was a scholar/priest who lived in Babylon in 3rd century BC. He wrote the history of Babylonia. He gave us the story of Oannes. Oannes was a mythical being who taught mankind wisdom. He had the body of fish, but underneath the figure of a man. He taught arts, science and writing. Oannes came from the Uanna, another name for Adapa. Akkadian connects this word to Um Manu. I guess this name as Indian Law Giver Manu. 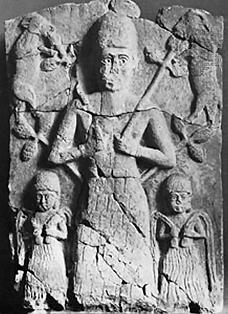 Adapa was a sage according to Sumerian legends. Going by this version I will take it as Manu or a sage from India who taught them Manu Dharma. (Oya in Sri Lanka, Oannes in Babylonia were all related to Thoya= Sanskrit word for water). Berossus said that the half man-half fish (Matsyavatar of Lord Vishnu) creature was attended by other monsters called Apkallu. Apkallus are Sapta Rishis of India. 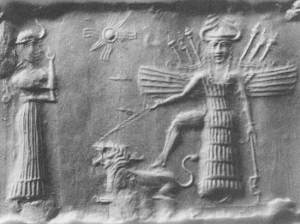 The Sumerian legend says Seven Apkallus (sages) were created by Enki to establish culture and give civilization to mankind. In Egypt, First King Narmer ( Nara Meru also knowns as Menes=Manu) was called Catfish Chisel. In other words he was also called a fish. good work, keep it up and keep contributing, all the best.